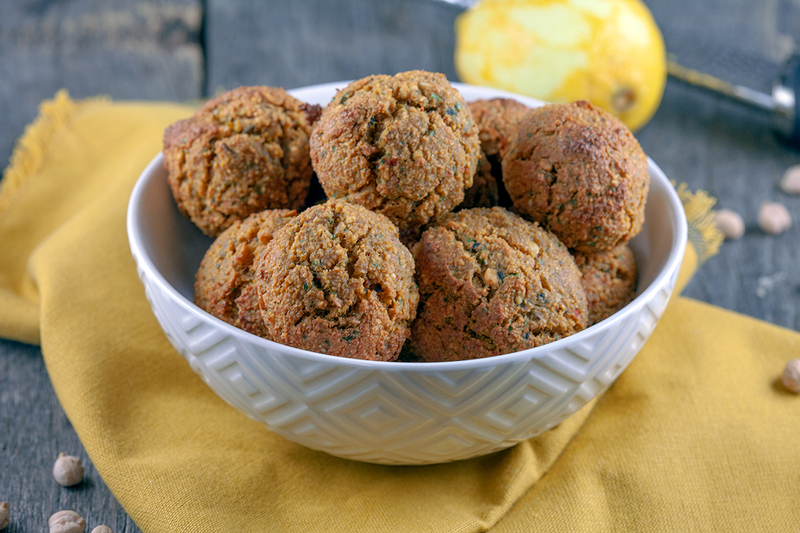 These oven-roasted grilled red pepper falafel are maybe even tastier than the classic version. And healthier, cause they aren't fried in oil. SOAK the chickpeas in quite a lot of water overnight. Some recipes use canned chickpeas, but they’re quite ‘wet’ so the falafel won’t be as beautiful as you want it to be. DRAIN the soaked chickpeas in a colander and let it rest for a while, this way the chickpeas will be even drier. PEEL and coarsely chop the red onion and garlic cloves. REMOVE the parsley stems and drain the grilled peppers so the falafel won’t become too wet. 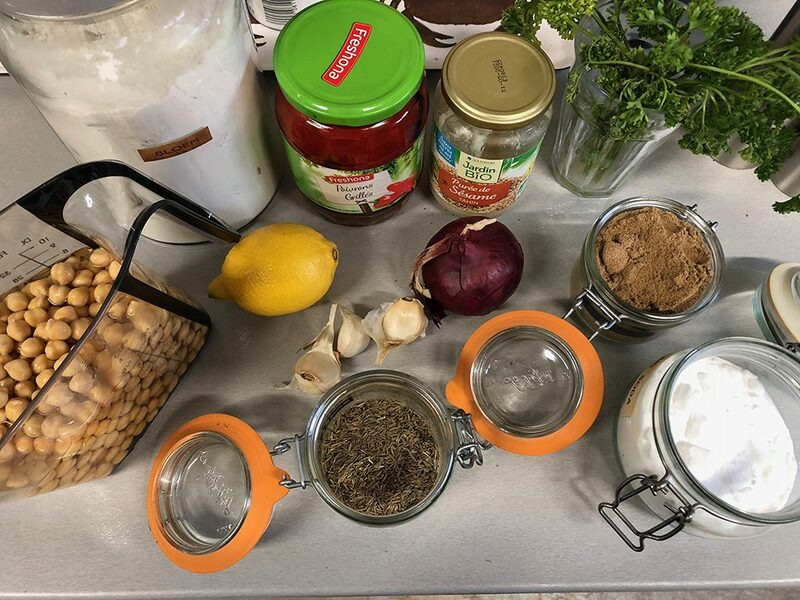 ADD chickpeas, garlic, onion, peppers, tahin and parsley to the food processor and create a puree until most larger pieces are gone. The mixture won’t become completely smooth. TRANSFER the mixture to a large bowl and add the spices, baking soda, lemon zest and flour. SEASON with pepper and salt. Use your hands to create small balls of the dough. The dough is a bit sticky, you can add some more flour if you want but keep in mind it will give your falafel a drier taste. 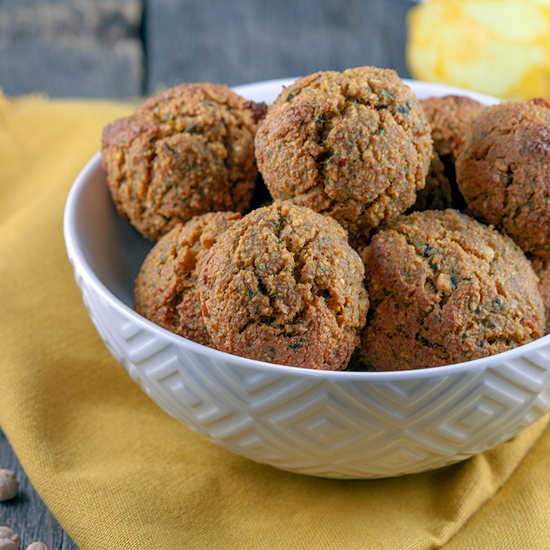 TRANSFER the falafel balls to an oven tray lined with parchment paper and BAKE them for about 25 to 30 minutes. 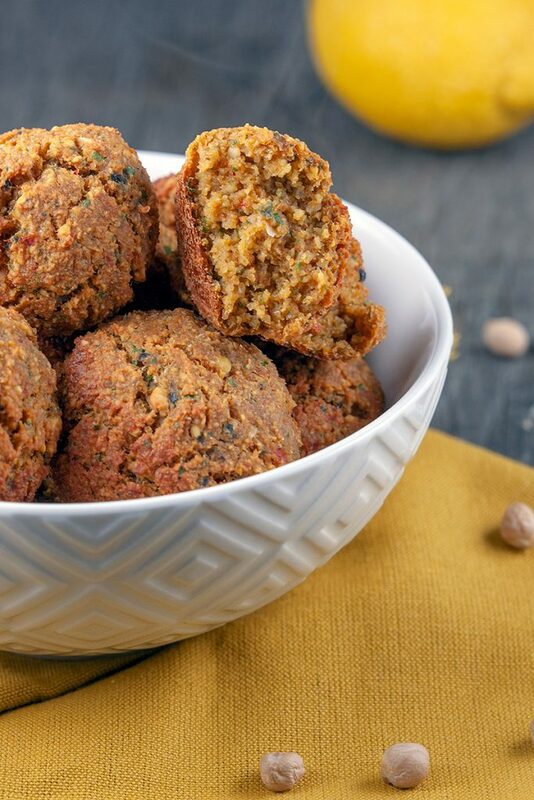 SERVE this falafel with an easy yogurt sauce if you like. Simply COMBINE yogurt with some freshly chopped garlic and lemon juice and season with pepper and salt. Enjoy!